The tournament will be spread among the Town's various ice pads, including the Aurora Community Centre (AAC), the Stronach Aurora Recreation Complex (SARC), and a few games at LaBrier Arena on the St. Andrew's College campus. Hockey-related displays will be featured at both the ACC and SARC locations, and a unique silent auction will be held at the ACC until 3 p.m. on Saturday February 2. Vendors will also be on-hand. Excerpt: The best of the best on ice are headed to Aurora. 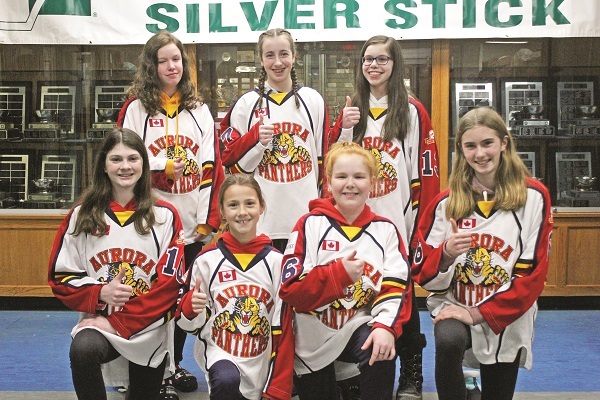 The Central York Girls Hockey Association and the Aurora Panthers announced last week that for the twentieth straight year, the Town of Aurora will host the International Silver Stick tournament from Feb. 1 – 3.